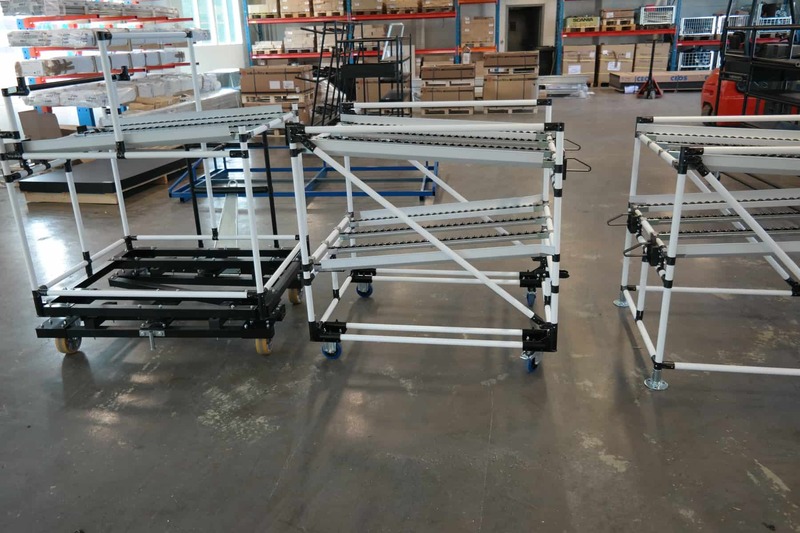 Shooter trolleys made with INDEVA Lean System® allow handling heavy loads and move them from one trolley to another one or from one fixed structure to a cart, through an efficient gravity fed sliding system. This system significantly reduces health and safety hazards and contributes to the operators’ wellbeing. This system also reduces costs and increases efficiency of production and storage processes with the implementation of the just-in-time parts supply.